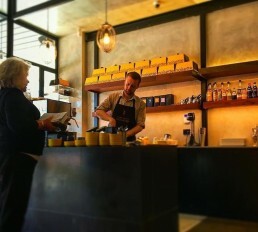 Timeout Melbourne mentioned a new toast bar Kings and Knaves, that will be opening. Now, about that toast. Sure, serving toast might seem a little pedestrian (even the most incompetent cook can whip up some vegemite soldiers) but Kings and Knaves have a hook: they’re serving specialty toast on fresh Noisette Bakery bread. You can always rely on Melbourne to find the next 'thing' when it comes to food! 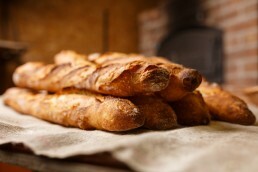 According to the old Romany proverb “L’homme n’a pas seulement besoin de pain, il a aussi besoin de respect” (Not only does man need bread, he also needs respect). 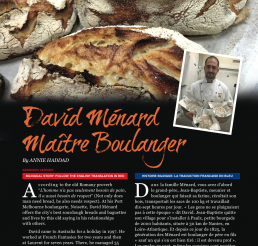 At his Port Melbourne boulangerie, Noisette, David Ménard offers the city’s best sourdough breads and baguettes and lives by this old saying in his relationships with others. As part of a special on chocolate, Smudge Eats managed to get a great recipe out of our kitchen! 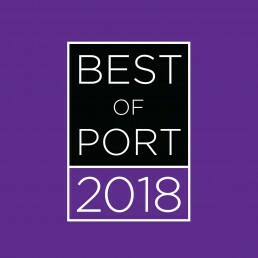 South-east locals rejoice! 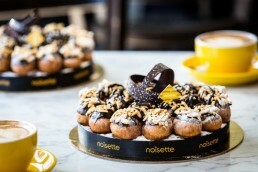 Port Melbourne’s much-loved French-style patisserie has opened shop on our own Centre Road shopping strip. 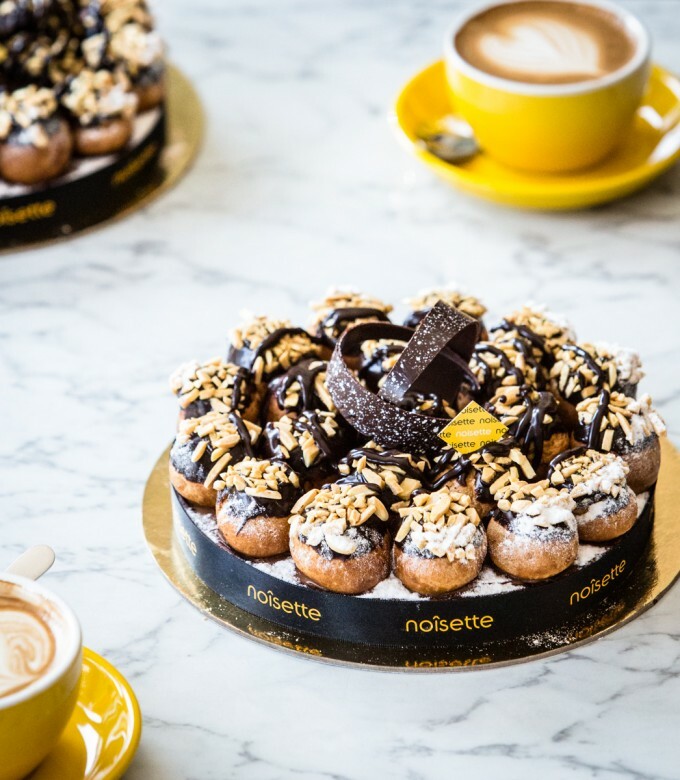 Whether it is an almond croissant, danish, apple crumble or escargot, it is clear that this bakery will stake out its claim for tasty treats in Bentleigh. And, not just in sweets but in bread also. Rye, sourdough, spelt, wholemeal and more is all on offer here. 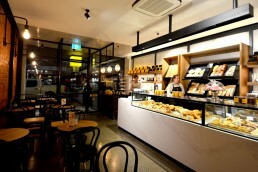 Further, alongside the chance to takeaway, the bakery is a fully-fledged cafe so grabbing a seat in the urban interior to enjoy your treat and the well-designed surrounds is encouraged. See more at Weekend Notes. 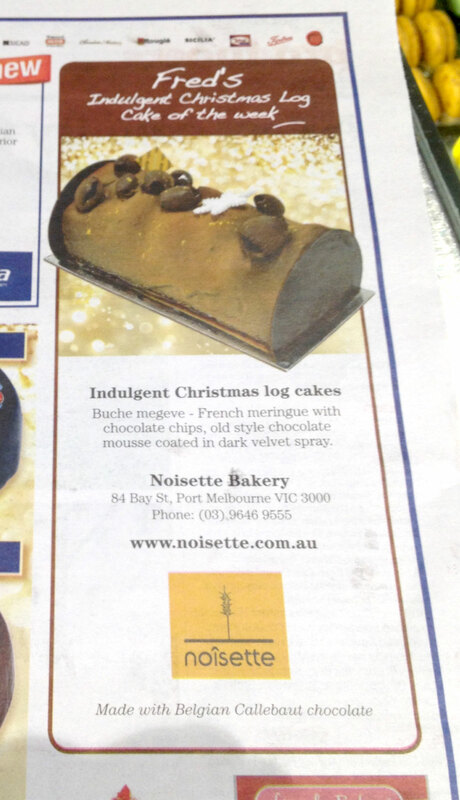 Finally, one of Melbourne best bakeries, French patisserie Noisette, has made its way over to Bentleigh! Your decision-making skills will be challenged in this spacious area, from lunch or nibbles to pastries or cakes, we have no doubt you’ll be walking away with more food than you need. Accept it, embrace it.